Do you have pet cat? Well, subscribing to Cat Hampurr can give the best feline products for your pet. They offer all-natural and healthy foods, goodies and treats as well as hand-made toys and hygiene products. Cat Hampurr provides the monthly needs of your cats essential for making them healthy. 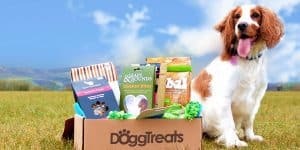 Bi-monthly – This option is amounting to £8 per box. Monthly Hampurr – If you will subscribe products good for 1 month, it will cost you £15.90. Double Helpings – The box would include products that can last for more than a month and it will cost about £27.85. If you’re interested to subscribe from Cat Hampurr, the first thing to do is to select the plan that you can afford. Their suppliers include ATTU, GranataPet, Thrive, Purr & Barker, Yeowww and Natural Pet Toy Company. Each box contains juice cat grass, fresh dried treats of various flavors, complete balanced dry food of various flavors and handmade catnip. Every month the content of the box varies. After choosing the subscription that you want, the next thing to do is to give the important details. Your order will be sent every 15th of the month, but there’s nothing to worry because the box will be sent the soonest possible time. 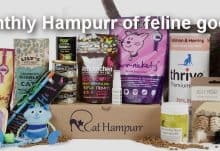 You can try Cat Hampurr products or send it as a gift to your friends for an amount of £19.90. so, if you want to make your feline healthy, sign up with Cat Hampurr now. How would you rate Cat Hampurr ?